Product code: ES1941 Categories: Sold Items, Sold Jewellery. More commonly found able to hold two photos, it is wonderful to get a locket such as this antique rose gold hand engraved four sided family photo locket. From the outside both sides are so beautiful to touch and admire the elegant hand engraving that would have taken such a long time to achieve. Whereas many lockets are either stamped out en masse or machine engraved, nothing beats the individuality and quality of something that has been engrave by hand. 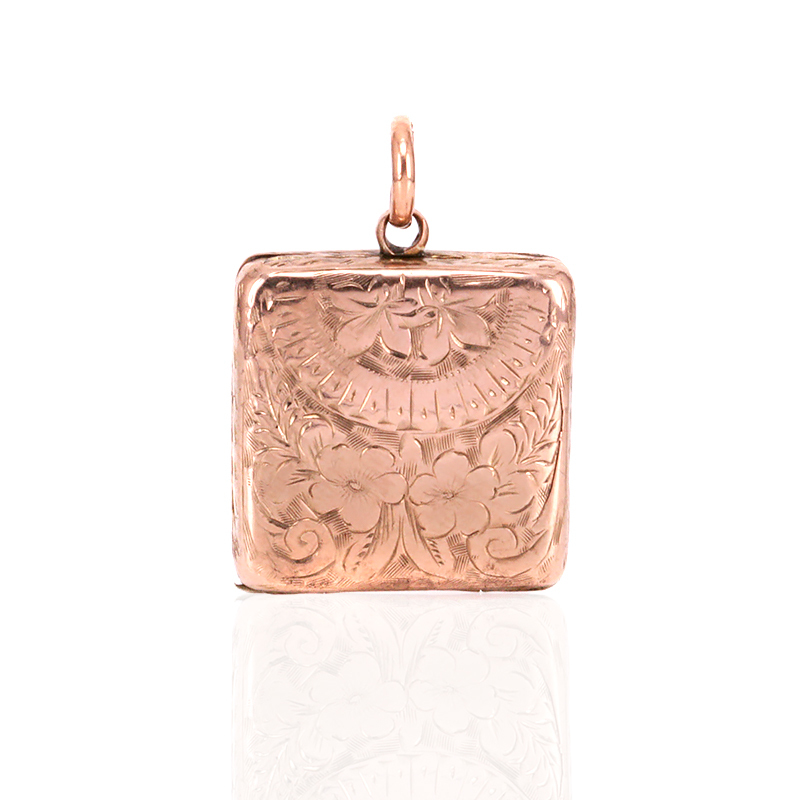 Made in 9ct rose gold, the locket measures 19.3mm and is the perfect size to wear on a chain around the neck. Then opening the locket reveals of course the four individual sections that separates this locket apart from so many others. This is such a lovely antique photo locket from the early 1900’s that is as beautiful as it is unique. Tags: Antique family locket, Antique locket. This is a four sided locket, often called a family locket. So named as it can hold four photos instead of just two, this antique family locket has also been beautifully hand engraved. 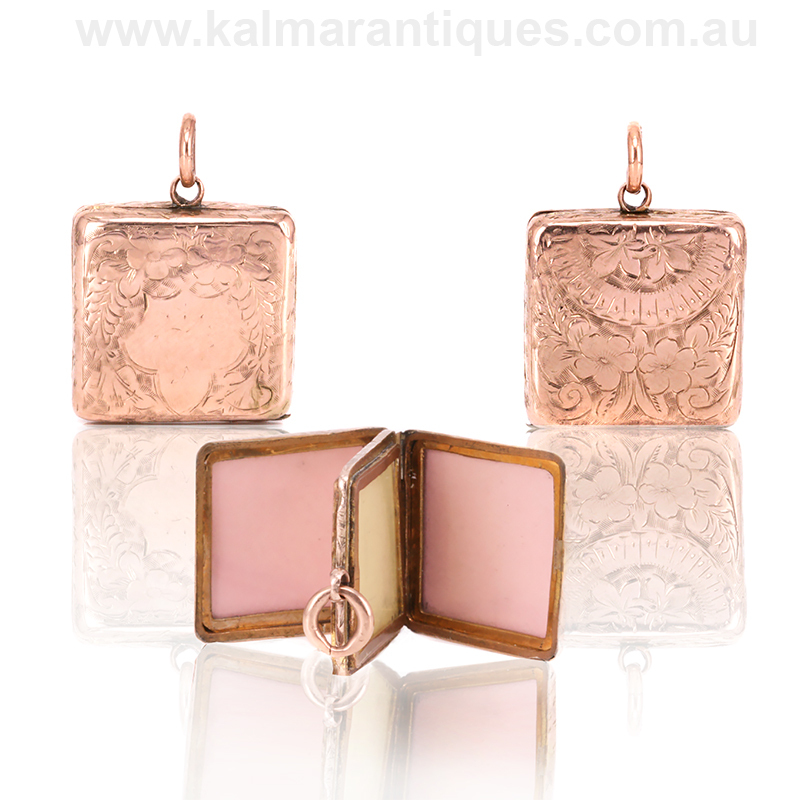 Made in rose gold, the colour of the rose gold compliments the shape as well as the engraving so well.